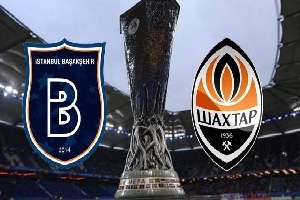 Basaksehir will play against Shakhtar Donetsk in UEFA Europa League on Thursday. Basaksehir had an amazing season. The team was just promoted from PTT 1. Lig and finished fourth leaving teams like Galatasaray behind them. They were very lucky to eliminate Rijeka in the previous round of qualifications. The Super League has not started yet, but Basaksehir has issues with their attack as the team failed to score in 3 out of 4 friendly games. Shakhtar Donetsk on the other hand started the season in Pari-Match League with four consecutive wins sharing the first place with Dynamo Kyiv. They were undeservedly eliminated from Champions League by Young Boys and now will be highly motivated to win the first leg in Istanbul.